Transformation of the Day: Zina lost 37 pounds. She’s been on her weight loss journey since 2012 and lost 114lbs by 2016. After a car accident, she experienced weight gain. She wrote in to share how she took action to shed those pounds. Check out her story. I started my journey back in 2013 and lost weight. Then, I got into a car accident in 2017 and gained 35 pounds. I was able to lose that 35lbs in 2 months doing an online weight loss challenge called the H.E.A.T. Challenge. In the beginning, when I started my very first journey, one of my friends inspired me to change. I was also motivated by my doctor saying no to weight loss surgery. After my car accident in 2017, my motivation came from wanting to get back to the person I was before the accident. I followed an intermittent fasting meal plan through the H.E.A.T. Challenge with no cheat meals, except when I got sick for 2 weeks. When I was ill, I substituted my meals with soup and went by the serving size on the can. I worked out 2 times a day, 5 days a week. I did fasted cardio in the morning and a gym workout in the evening. When I started the online challenge, I weighed 220 pounds and my current weight is 183 pounds. I thought that I would never experience something that would set me back and cause me to gain weight again, but it happened. Your mental state has to be right first and foremost because it’s not easy. You have to stay away from people who aren’t gonna be positive and motivating. You have to remember that you are doing this for a better you and better health. If people don’t agree with that, then you need to distance yourself from them. Read about how she lost 114lbs. 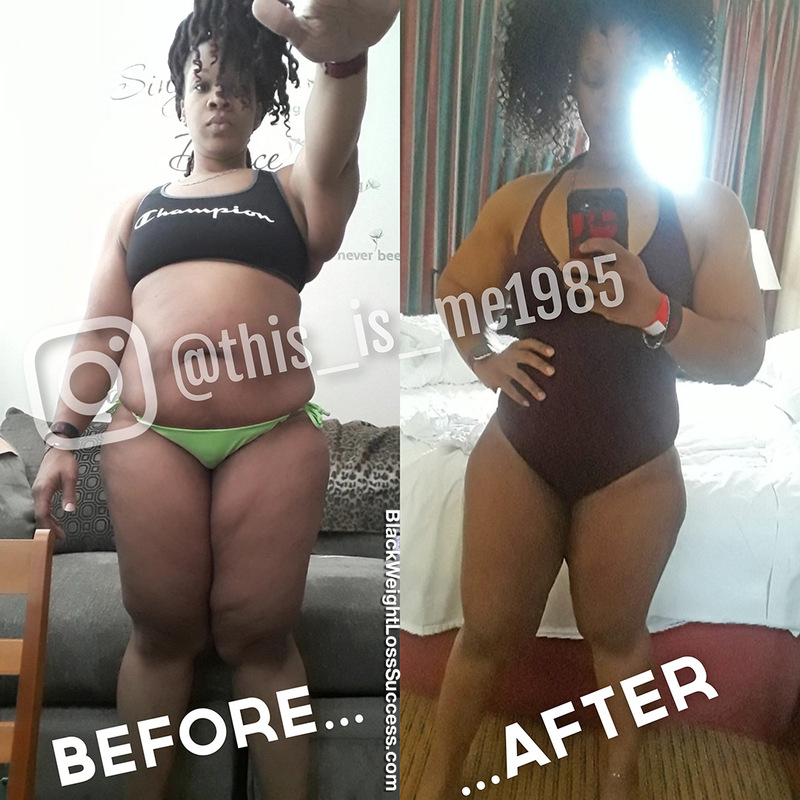 Disclaimer: Reference or link to any specific product, diet plan, exercise plan or service mentioned in the weight loss stories we share is for the information of our readers, and does not constitute an endorsement or recommendation by Black Women Losing Weight.